Gloves are a simple yet essential product, and they’re surprisingly difficult to buy if you’re searching for American made quality. We decided to search out the best gloves made in the USA, trying to find the best quality all at a good value to you. Keep reading below to learn more about our top recommendations, where to get them, and all of the factors that went into our research! After looking at dozens of products, we found 8 leading American glove makers that we’re happy to recommend. To highlight a couple of our top picks: One of the toughest pairs of work gloves we’ve tested in a long while is made by the Caroline Glove & Safety Company. We were also impressed by the supreme warmth offered by the Wintergreen Northern skiing gloves designed to keep your hands warm up on a mountain. And those are just 2 of our 8 recommendations! We split our top picks into several different categories so you can find gloves that will meet your needs, whatever they might be. Below are explanations and overviews for why we selected the gloves that appear on our list. Read through everything and let us know if you have any questions! 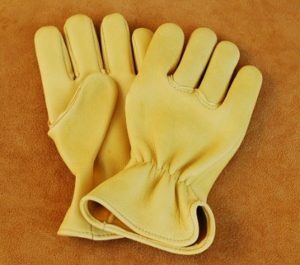 The Geier Glove Company has been in business selling quality leather gloves in the United States for more than 90 years. 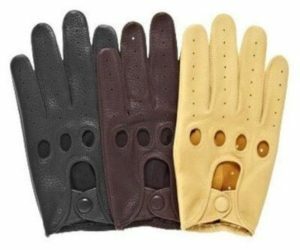 It’s one of the best sources of top-quality leather gloves today. 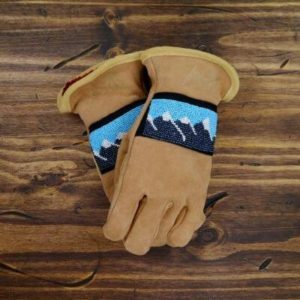 We love that their gloves are offered in a good mix of leather types, including deerskin, goatskin, elk, cowhide, bison, and others. Both lined and unlined gloves are available. The gloves sold by Geier are made from high quality leather that’s durable and shows a beautiful natural grain. Whether you’re looking for fashion gloves, driving gloves, or a good sturdy pair of work gloves, Geier is an excellent option. 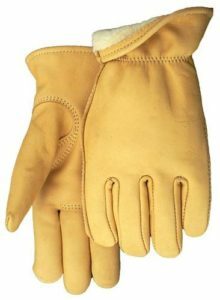 Construction workers, landscapers, and other laborers know how important it is to find a good quality pair of work gloves for daily work in cool weather. The gloves sold by Carolina Glove & Safety Company stand out as top-quality products for their durability, flexibility, and overall comfort. We love these work gloves because they come with a tough leather palm and finger and thumb sections for puncture resistance. They’re backed with tough canvas material, and feature a knuckle strap with extra padding. They’re light and cool and good for warm or cooler weather conditions. The gloves are also affordable, though shipping costs can add up. Supremely warm and comfortable, the Deerskin Thinsulate lined gloves from Midwest Glove are an impressive product and our favorite option for insulated gloves. These beauties feature tough deerskin leather on the outside, and 100 grams of Thinsulate insulation within for maximum warmth and comfort. They have a soft supple feel, and feature a Keystone-style thumb for good flexibility. These gloves aren’t cheap, but they’re a reliable product for cool weather conditions and are shipped for free. The e-Flip Gloves by Turtle are impressive fingerless gloves for frigid weather conditions. 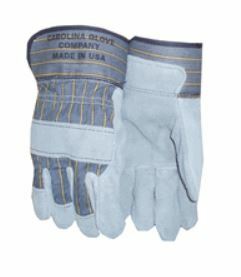 These heavyweight polyester gloves block wind and freezing temperatures to keep hands warm and comfortable. We love that the gloves flip open to reveal a fingerless design when dexterity is important. These gloves are machine washable and simple to maintain. They are built to repel water and help keep hands dry in damp conditions. The gloves are perfect companions for most outdoor activities in cool weather, but some users will find the mittens cumbersome to use when fingertips are covered up. Astis is a standout glove company for offering rugged and warm gloves that showcase unique and colorful beadwork designs. There are a wide range of glove styles that feature different beadwork variations to really help them stand out. The gloves are made from a natural suede leather that’s soft but durable. They show off natural grain variations for an appealing rustic look. The suede used for these gloves is infused with silicone for effective water resistance to help keep your hands warm. These hand-sewn gloves are lined with Polartec Thermal Pro High Loft insulation for maximum warmth in cold weather. For folks who like the style, it makes sense to have a good quality pair of driving gloves like the American Classics Deerskin gloves. These driving gloves are made from tough medium weight deerskin leather that’s flexible, warm and soft to the touch. We love the knuckle holes and unlined design of these gloves because they are super flexible and comfortable when holding the steering wheel. These driving gloves are crafted in America and are offered in six different sizes for the perfect fit for many different users. They snap shut during use, so you get a good tight fit every time. If you want to keep your hands warm while driving, we recommend you take a look at these gloves. The cashmere gloves from Golightly are luxuriously warm, comfortable, and stylish. These gloves come at a premium price, but they’re guaranteed to keep your hands warm and comfortable, even if the gloves get damp during use. 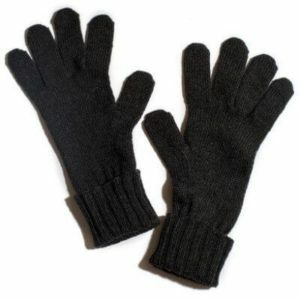 These gloves are formed from 6-ply Scottish Cashmere, and they’re exceptionally durable. Thanks to tough material and a solid woven design, these gloves should last through several seasons of hard use. The gloves are offered in three different color finishes and serve as a nice stylish accent that will match your look while keeping you warm at the same time. The Wintergreen Northern Wear Expedition Plunge Mitts are one of our favorite products for cool weather conditions such as skiing at freezing temperatures. 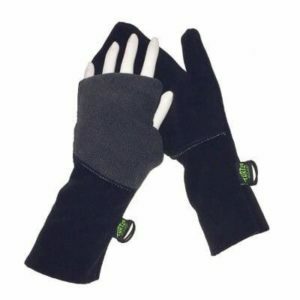 These mitts feature a toasty 300 fleece liner and a weatherproof outer for maximum warmth. They are made with a durable nylon outer and tough 1000 denier Cordura cuff material that won’t lose its shape over time (important to keep the snow and moisture out). 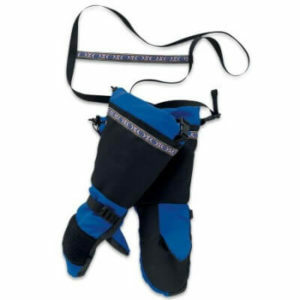 The gloves come with a windskirt equipped with an elastic draw cord as well as an adjustable wrist strap to lock away the elements. There is also a lovely embroidered trim accent to help add some style to the gloves, and there is a thoughtful patch of Polartec Classic material to hold against your nose on the ski lift if it gets too cold. While evaluating gloves, we looked closely at the materials used in these products. We looked for thick and durable materials such as full-grain leather, nylon, or heavy canvas. The right material obviously depends on the use case though. For work gloves, heavy canvas makes more sense. For warmth out in the elements though, you want a nylon outer shell to protect your hands from the elements and a nice fleece or equivalent liner inside. We paid attention to the stitching and any seams in the different materials specifically. We looked to see that the gloves are holding together well and that none of the materials are fraying after regular use. Well-built gloves are easy to spot, you just have to look closely at the fine details in the joinery that holds them together, which is exactly what we did before selecting our top picks. 1) When looking at driving gloves we paid attention to how comfortable they are, whether they improve grip or not while holding the wheel, how much dexterity they preserve during use, and other things like that. 2) When searching for skiing gloves, we looked at warmth and insulation first. Then we looked at moisture resistance, weather seals, and finally comfort. Good gloves should be comfortable to wear for an extended period. We tested each pair of gloves in its intended environment and picked the options that are most enjoyable to wear while still doing their job well. Price is a major concern as well when choosing gloves, but not in the way that you might think. We didn’t look at the price of the gloves as an element on its own. That would only lead to us choosing the lowest quality gloves available today. Instead, we looked at the materials used, the construction quality, and how those gloves are priced, and then we decided if they are a good value or not for their price. That’s how we were able to put affordable and higher end gloves on our list, and say that they are all a good value overall.